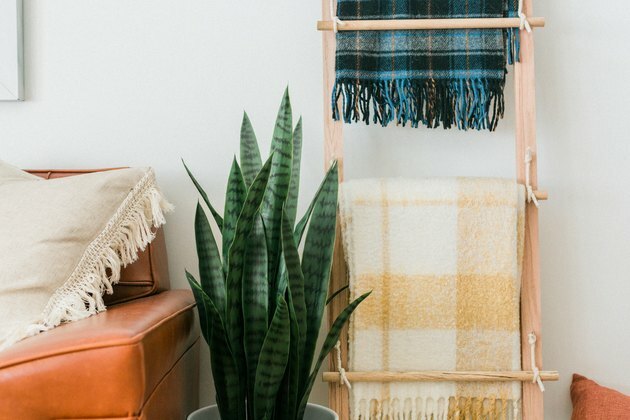 While many of us think you can never have too many cute blankets, we also know that space can be an issue. 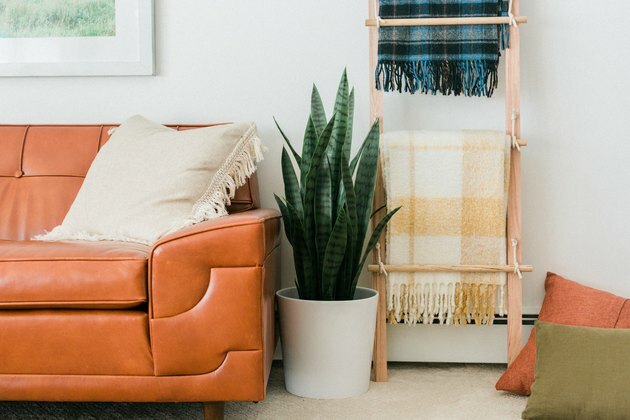 If your closets, decorative baskets, or dressers are already stuffed to the brim, this is just the project for you. 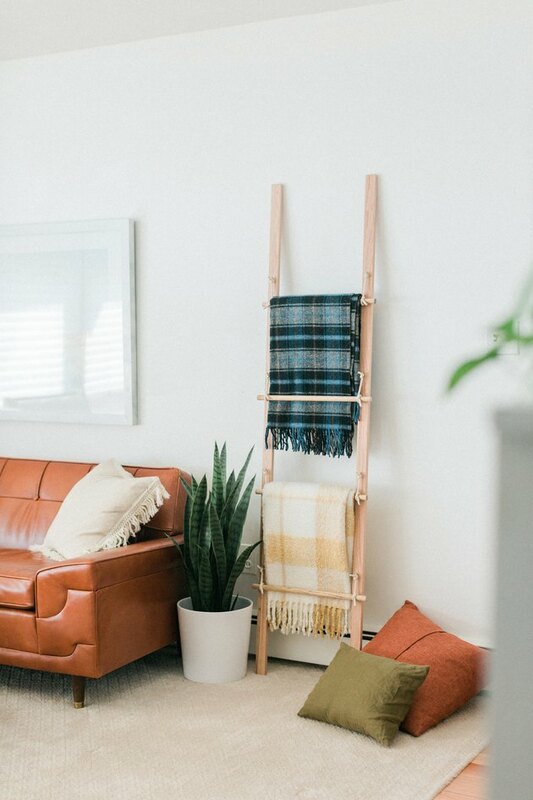 A make-it-yourself swing arm blanket rack and ladder is a stylish way to keep your favorite throws within easy reach whenever the need for snuggling down strikes. Use the measuring tape and a pencil to mark the center point on each dowel rod. 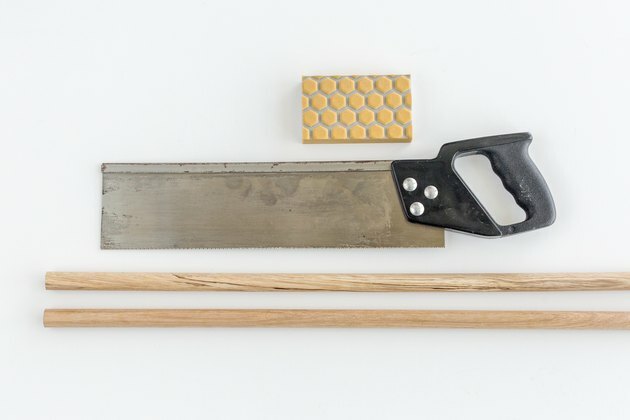 Cut the rods in half with a hand saw, and sand the ends smooth using a 220-grit sanding block. Measure and mark where you want your swinging ladder rungs to go on each of the two 72-inch oak boards. 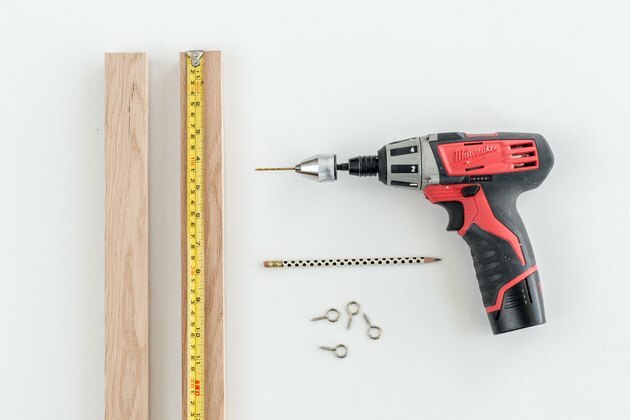 Outfit a power drill with a drill bit just a little thinner than the threaded end of your eye hooks, and drill pilot holes where you marked. Screw the eye hooks into the wood boards through the pilot holes. Cut eight lengths of rope off the spool, each roughly nine inches long. Knot one end of the cut pieces of rope through the eye hooks you attached in Step 2, leaving about two inches of excess rope past the knot. 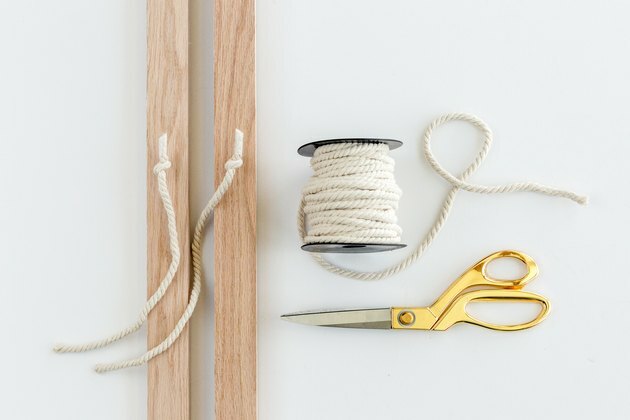 Wrap this excess rope with transparent heavy-duty tape, and cut the rope (through the tape) about an inch from the eye hook. The tape is used to prevent the rope from fraying or untying later on. 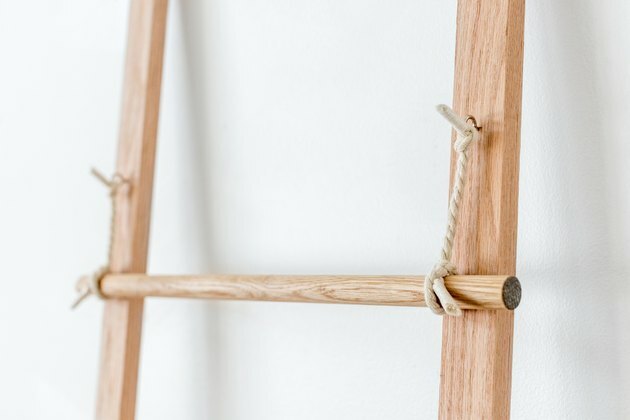 Attach the dowel rod rungs to the oak boards by simply knotting the remaining rope (hanging down from the eye hooks) around the rungs. Follow the same Step 3 process with the transparent heavy-duty tape on this end of the rope, too. 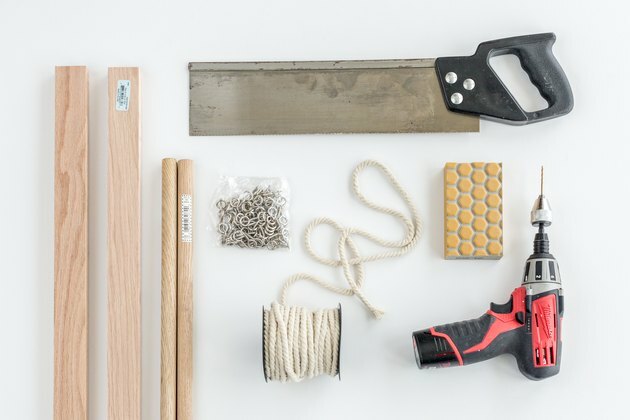 Repeat until you've hung all your dowel rod rungs. Note: For this demonstration, the rope was knotted about three inches from the ends of each dowel. We also left roughly four inches of excess rope exposed between the rungs and the eye hooks to allow the rungs to swing freely for easier blanket placement. You can customize the look however you'd like if you'd like more or less swing! 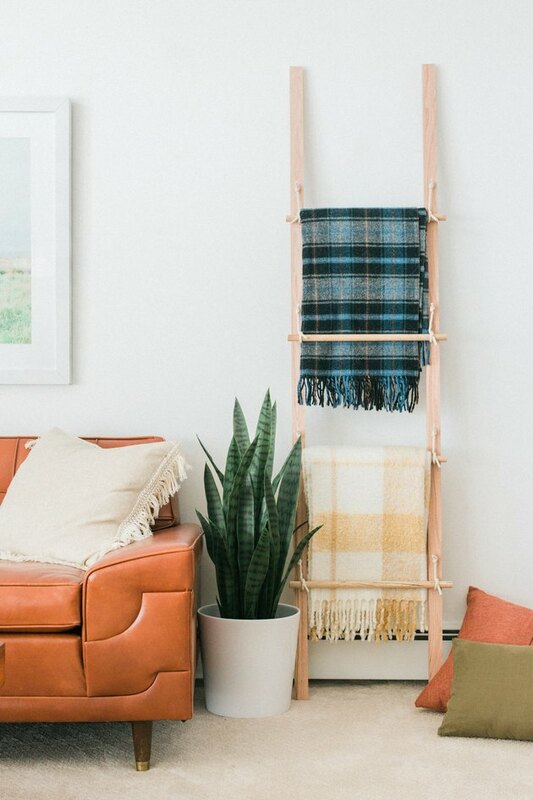 Once all of the rungs have been attached, you may then load up the finished ladder with your favorite blankets and lean it against any wall in your home. For permanent placement, consider screwing the ladder right to the wall and let the arms swing freely!